I know a lot of you out there are fans too, and you probably think I'm just one of the millions. 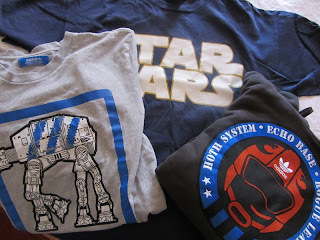 Surely there are people more into Star Wars than I am. 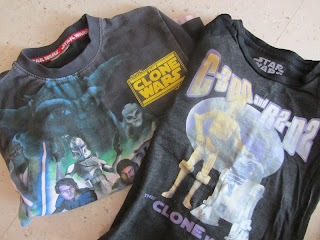 It's not like I own a Princess Leia costume or anything. 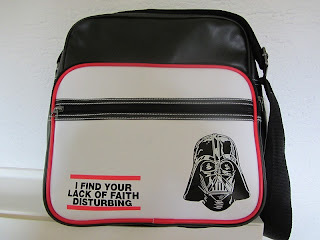 But when I geeked out over how cool my new bag is, I realized I am pretty far gone. It all started with the original trilogy. 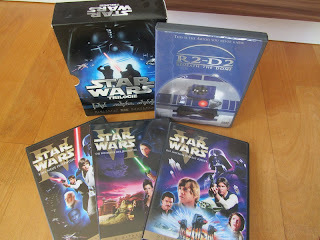 Note the R2D2 special DVD. "I'm a nice man." – "No, you're not." "I love you." – "I know." "Do or not do, there is no try." Here are collections of great quotes if you're interested: link and link and link. 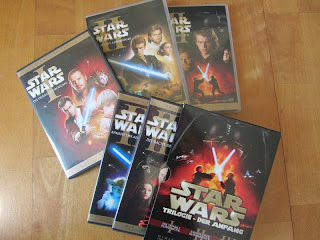 Following the original movies, I started reading the books. 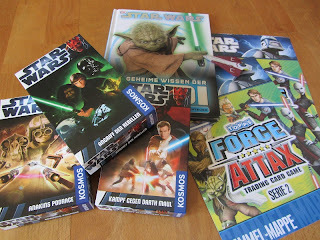 A selection of my Star Wars books. 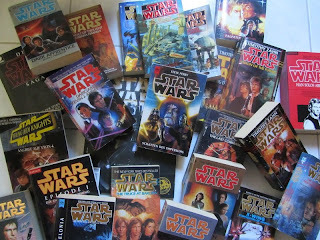 I own somewhere around 36 Star Wars novels. I know there are even more. So many stories and so little time…. Why do I own two copies of some DVDs? And there are some good quotes in these movies too. "You don't want to sell me death sticks. You want to go home and rethink your life." But my fandom doesn't stop with the stories. I've outfitted my husband. PJs and underwear hidden to protect the innocent. 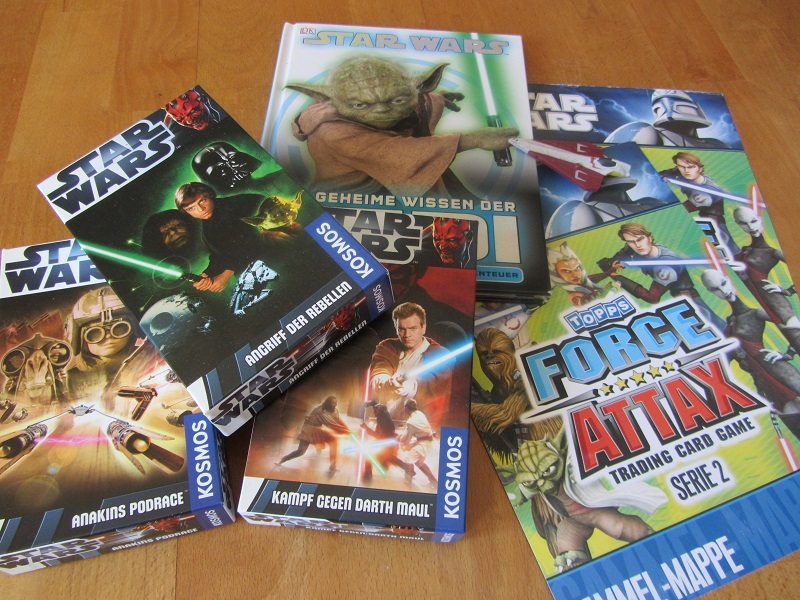 I'm using toys to convert my children without them realizing it. So with all the movies, books and other merchandise, what could be missing? I'll tell you. A nickname for the fans. It's true! None exists. I researched it (yes, that's how I spend my time). Firefly has their Browncoats. Star Trek their Trekkies. Star Wars has…fans. I think Star Wars fans deserve a nickname. Or do you think the fans are above that kind of thing?